Book your OFFICIAL LEGOLAND&reg; Windsor short break and stay at the LEGOLAND Resort Hotels or a nearby hotel. Plus, get your 2nd Day in the Theme Park FREE! 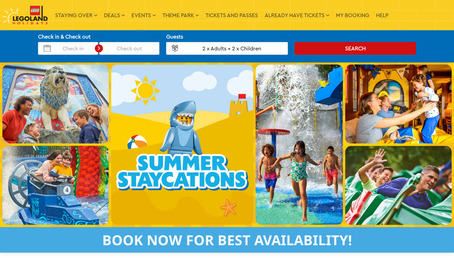 Enjoy 2nd Day FREE Park tickets on all Hotel + ticket packages, giving you more time to explore LEGOLAND® Windsor Resort!